Air Marshal RKS Shera AVSM VSM, Air Officer-in-Charge Maintenance (AOM), IAF and Mrs Surina Rajan, Director General Bureau of Indian Standards, releasing the new standard for Bio-jet fuel at Air HQs on January 24, 2019. 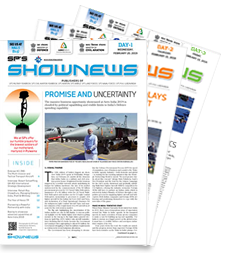 To use bio-jet fuel on all military and civilian aircraft, BIS has in collaboration with IAF, research organisations and the industry brought out a new standard for Aviation Turbine Fuels. These specifications will align Indian standards with current international standards. A committee constituted with domain experts was tasked to originate the required standards. After a series of deliberations over the past nine months, an Indian Standard IS 17081:2019 Aviation Turbine Fuel (Kerosene Type, Jet A-1) containing Synthesised Hydrocarbons, has been formulated. 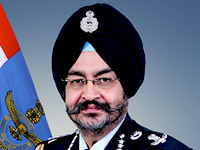 Air Marshal RKS Shera AVSM VSM, Air Officer-in-Charge Maintenance, Indian Air Force and Mrs Surina Rajan, Director General Bureau of Indian Standards, released this standard on 24 January 2019 at Air HQs. This standard would enable the oil companies to manufacture bio-jet fuel for the Indian aviation industry. Given the advent of Carbon Offsetting and Reduction Scheme for International Aviation (CORSIA) by the International Civil Aviation Organisation (ICAO) by 2027, this is a significant development which could reduce the carbon emissions and help India become a green fuel production hub.